♥Teaching Fabulous Firsties and 2nd Grade Smarties!♥: Freebies, TpT's 28% Off Sale, & Super Bowl Flashbacks! Woo-hoo! 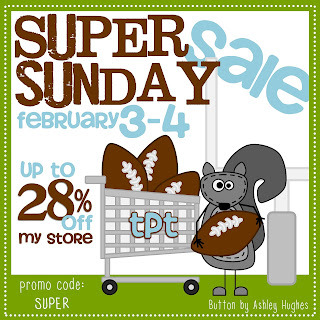 Freebies, TpT's 28% Off Sale, & Super Bowl Flashbacks! Woo-hoo! Today was a "Staff Development Day" without students, which is great news because I still have enough energy to devote all of my attention to my Teachers Pay Teachers wish list and shopping cart! CLICK PIC TO GO SHOPPING! I hear there is something else going on this Sunday, but I can't quite remember what it was... (hahaha!) I'm not into football. The only time I enjoyed myself was when I played in the marching band in high school and college. I played the drums and it was fun to play music when our team did well. But, my favorite part of my college marching band was a nice boy who played the trombone. He also delivered pizza to help pay for college. On Super Bowl Sunday in 1989 (you know, the one with the 1/2 time show requiring the red and blue 3-D glasses from TV Guide?!? ), he delivered me a pizza--that I didn't even order--and he asked me out. I decided that maybe Super Bowl Sunday wasn't such a bad idea after all. I also decided he was a keeper! We've been married 20 years and this will be our 24th Super Bowl Sunday Anniversary (and I still have those 3-D glasses!). I'm linking up with TBA's Freebie Friday! Here is a cute and easy way for your kids to do their Word Work with a little Valentine's flair. I hope you enjoy it! 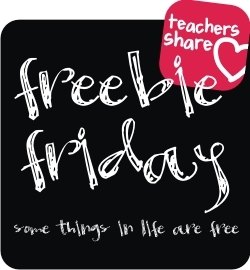 Click on the picture below to get your freebie! I hope your weekend will be super! Thanks for reading my blog. I truly appreciate you!